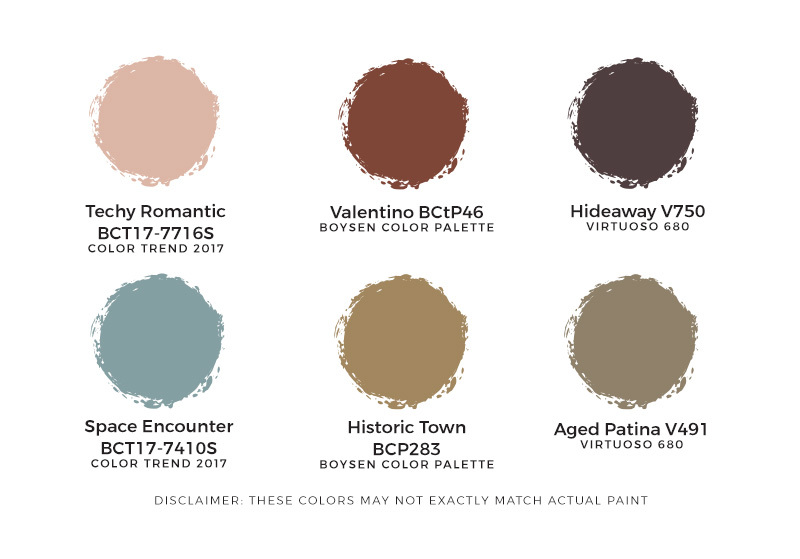 Two colors from the Technology palette of Boysen’s Color Trend 2017, the pink Techy Romantic and blue Space Encounter, are used in the walls of this home office vignette. Although these are pastels, these pink and blue colors are not your usual baby hues but modern and edgy. The home office is very functional with the table, shelves, and various storage containers strategically strewn about the room. The blonde color of the wood used for the table, the shelves and the frame of the office chair, as well as the woven material of the containers, is a unifying factor. That and the white, grey and black of the geometric print of the area rug, the photo prints on the walls, the seat cushion of the chair, are elements that consolidate the look and make it very pleasing and restful to be in, especially with all that greenery. The light color of the wood is further emphasized by the daffodil yellow of the accent chair, a playful touch that invites you to enjoy even more your working space. Tom Castaneda, SM Home’s AVP for Marketing, came up with the idea to make five room vignettes to show SM Home’s customers how to combine furnishings and colors to have a home you can be proud of. This home office was designed by Iriss Mangio of ILM Concept Design Interiors for Complete Your Home, an exhibit which will be at the bridgeway in the fifth floor of SM Makati until July 31. So go to SM Makati for inspiration, and get yourself a home office you’d love to spend time in.